You have to laugh at this trumpetfish. 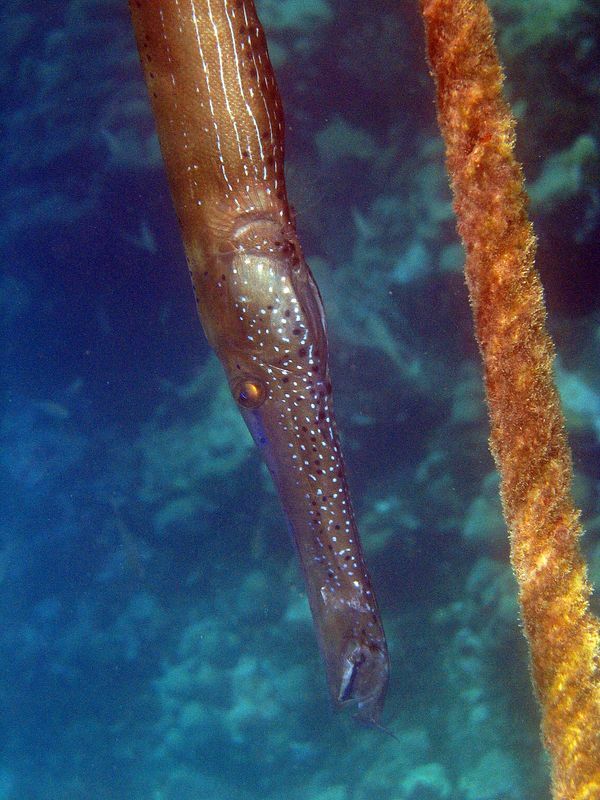 He was hovering next to the rope anchoring the dingy on the outside of Horseshoe Reef. The trumpetfish fish let me get very close to take this picture; he must have believed that the rope hid or camouflaged him.